Hey everyone! I am super excited to get back into the blog this week, hope you all liked Sophia's guest post last week, I thought she did an awesome job! This week I want to share my review of the Skinerals products I showed in my last haul. Skinerals is a 100% organic, mineral based, cruelty free line designed to repair damaged or irritated skin. Skinerals kindly sent me a few of their products and I am beyond excited to share my review with you. 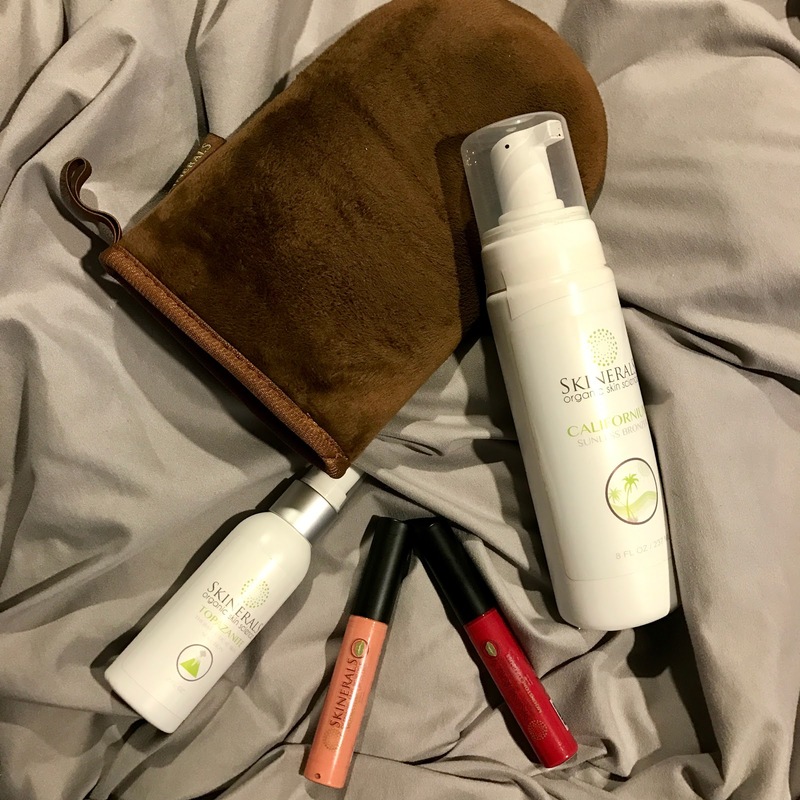 I have been testing out Skinerals Californium Sunless Bronzer for the last few weeks now. I usually use a self tanner when the weather begins to warm up. The application is simple I use two pumps on a mitt for each leg, my torso, my chest and neck, and two pumps for my back. I use one pump on each arm and use any leftover product to go over my ears and face. This the best applicator mitt I have tried so far, it is incredibly soft and gives good coverage. I also like that it is double sided. Do you often have trouble finding a perfect gift for all kinds of occasions? If you do, this article is exactly what you’re looking for. If your friend, mother or a girlfriend is into green and cruelty-free cosmetic products, take a look at the awesome ideas we have prepared. We guarantee that buying a perfect present will turn into a super fun activity. If you’re shopping for a true make-up junkie, you can’t go wrong with a nice lipstick or a lip gloss. 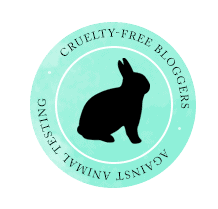 However, make sure to go for cruelty-free brands, such as the Au Naturale Cosmetics, and their amazing lip gloss which comes in an amazing shade range . This lip gloss is 100% vegan and nature-friendly. In addition, it doesn’t contain synthetic preservatives and toxins. Another amazing choice would be Red Apple lipsticks. These are also natural and high-quality products, and what’s best, they also come in so many shades. Our personal favourites are Audrey, Barcelona and Rebel. 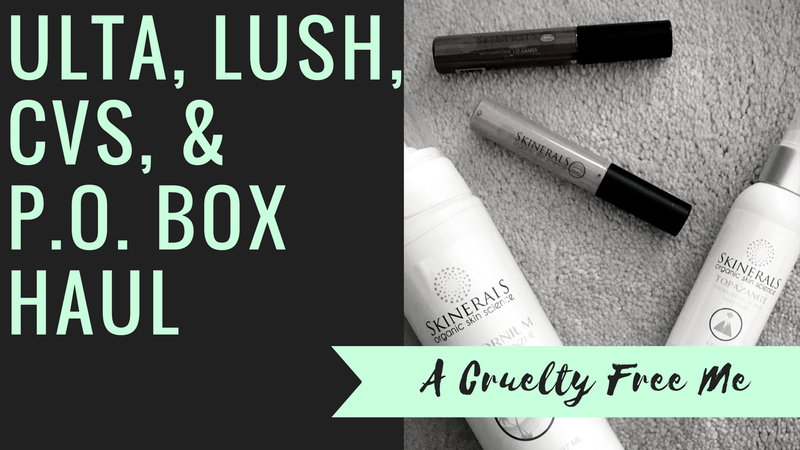 Earlier this week I posted a haul of some items I picked up from Lush, CVS, and Ulta. If you haven't seen it yet, make sure you give it a watch before reading my reviews. I'm really starting to enjoy making videos, it's still a bit weird watching the footage back in iMovie, and I still feel a bit odd talking to a camera. I think I'm improving at it though, be sure to like and comment on that video I would love to hear your feedback. Alright so I have a confession to make, my obsession with tea tree oil is growing! I love using tea tree oil as a spot treatment on blemishes, and occasionally adding it to moisturizers. But now I have also been adding a few drops to my favorite mask, and I'm loving the shampoo products that include tea tree. I was happy to find a Green Goo product in my mailbox not too long ago and I figured I would review it for you guys today! Green Goo is owned by women, and family run, the products are cruelty free and formulated with all natural oils and herbs. Green Goo is also a certified B Corp. I am loving that I am receiving more products from companies that identify as woman owned and think it is awesome that they are all natural as well. Green Goo sent me one of their tea tree and peppermint solid shampoo bars and it did not disappoint! This product lathers up really well, and helps to cleanse your scalp of any buildup or irritation. If you normally wash your hair daily I would recommend using this once or twice a week. If you prefer to use it daily make sure to use a conditioner afterwards. I got a little too into using the product and have been using it without conditioner this entire week (every other day), and the first few days my hair felt amazingly clean but by today it has felt a bit dry. So I would just recommend using a natural conditioner if you plan on using it frequently. Hey there! Hope you're doing well this morning (or whenever you happen to be reading this)! I slacked off on my blogging duties again this week thanks to midterms, but I do have a new YouTube video up as well if you would like to check that out. As you guys know I have struggled with acne since the dawn of time... ok maybe since I was about 13, but it feels like forever. I finally had a skincare routine that worked for me, and then all the sudden I was breaking out more than ever. I still am dairy free (or very close, accidents happen), but I think the stress of interviews and midterms has taken their toll and my skin has had it! Or at least I've had it with my skin looking this way. A few weeks ago I was sent something slightly controversial, but I definitely believe in the power of all natural products so I figured I would give it a go and I am so happy I did. 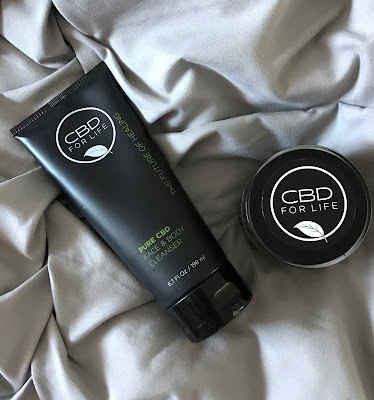 CBD for Life is a skincare range that contains cannabidiol, which helps stop the growth of bacteria, and is anti-inflammatory; which is awesome news for my face which has a bit of rosacea and acne. If you're hesitant about using a hemp based product or are not sure if it's right for you I would definitely give this page a read.